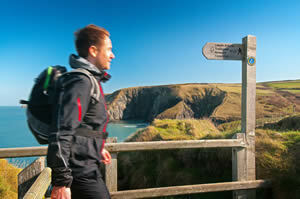 Assembly Members were today given a state of the nation view on tourism in Wales. In a preview to Wales Tourism Week, Susie Davis AM, chair of the cross party group on tourism, spoke at The Senedd about national and international links, projects and opportunities. Friday will see British Holiday and Home Park Association outlining their plans in Mid and West Wales, colleges continue next week as part of Wales Tourism Alliance hold various events, culminating in a tourism summit in Llandrindod Wells followed by a Welsh food and drink celebration in the Mid-Wales town at the end of next week on Friday morning.